An island continent roughly 90% the size of the continental United States, Australia’s population is just over 20 million people compared to the USA of 300 million. It spans 3 oceans, which makes it the third largest ocean territory. 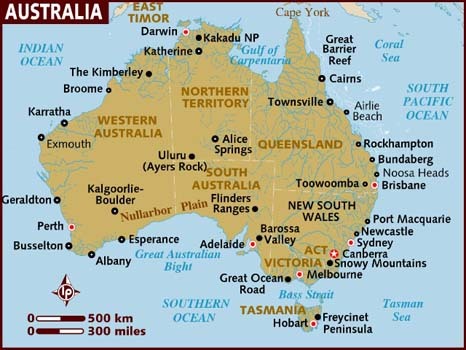 Australia is made up of six states and two territories.